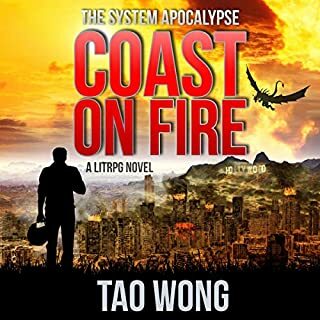 Dr. Aleron Kong is the father of American LitRPG. 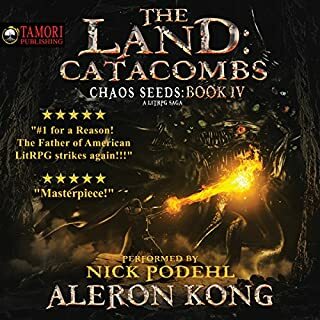 Join him in his best-selling LitRPG saga, The Land. The journey of terrifying adventures, dangerous enemies, and heart-stopping wonder continues here. "This is the world you were meant to fight for!" 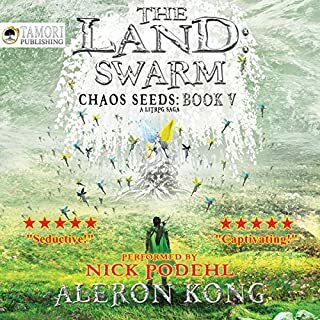 Welcome to the sixth vivacious installment of Aleron Kong's Chaos Seeds series. The time of hiding has passed. The Mist Village will make itself known. Goblins have invaded Richter’s lands. 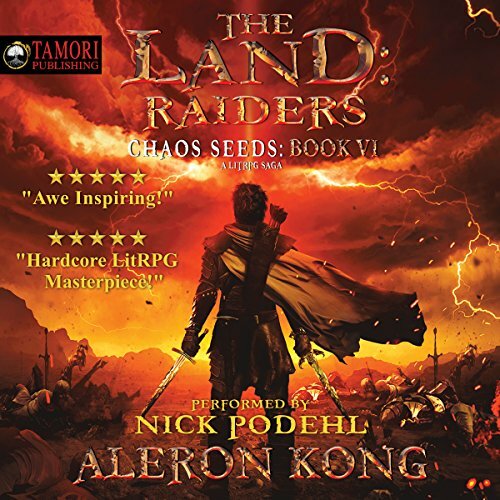 Though the first incursion has been defeated, the anger of Chaos Seed remains. Those who challenge Richter’s power will learn there is a reason all creatures fear the mist.... It is the home of monsters. This is a world of wonder and horror. This is a world of pain and joy. This is the world of monsters...and the brave men who battle them. Welcome back my friends! If you have got this far you know how great the series is. This book however is the most thrilling yet. 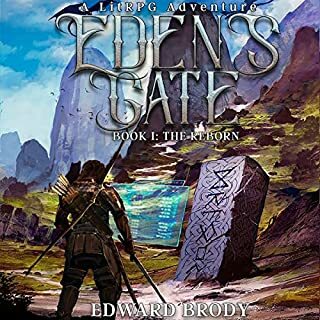 Between the battles and the character interaction the author has expanded on a amazing world. Finally does anyone else picture captain Kirk screaming Khan when Richter curses Nexus. The development of the character and the main story continues to please. 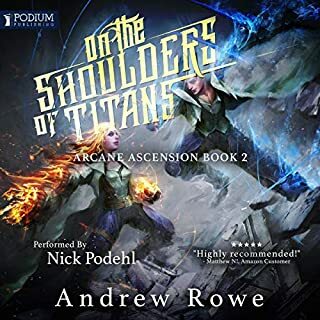 The author is great at balancing the growth in power for the protagonist unlike some other books of this genre. 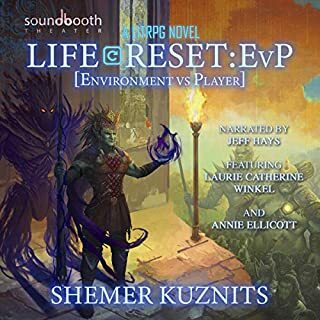 Definite must listen to book for litrpg fans. 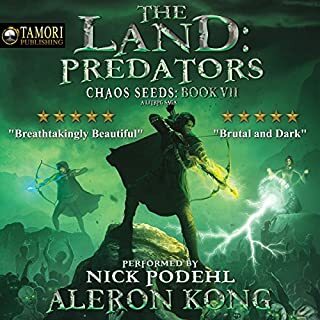 I still feel that the audio form of the book should have been edited for repeating prompts, but HOLLY MOLLY THE BOOK IS GOOD. 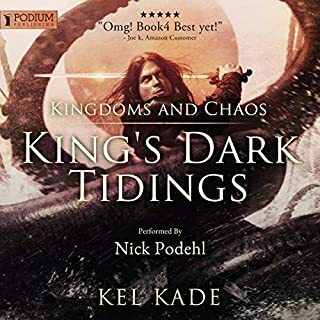 considering the last is like 2 days of audio book i can't wait to dig into it... in fact, what the hell am I doing writing this I'm digging into it now. On the edge of my seat laughing most the way. This one is probably the darkest in the series so far. In each book there is often a really dark moment to really punctuate the depravity and unforgiving world the Land is. 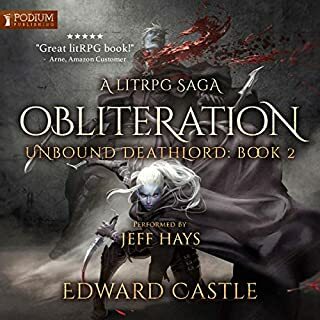 Without really any focus on the darkest part this one takes you down a path of tragedy that acts as a catalyst for Richters struggle to hold onto his humantiy. It carries with it a similar level of growth and pop culture refreshing that you become accustomed to early on in the series. 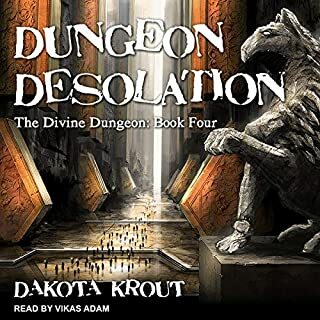 #Audible1 Ever since the start of Lrpg books I started to enjoy reading agian. Sooooo goooood. Thanks so much !!! Never loved a book that much ! I can't get enough of it !! Please do more ! This entire series is just bloody amazing, I cant put into words how much I enjoy this series. Every time a new book comes out I listen to the entire series before I start the new book. I hope this series never ends. Love this series! 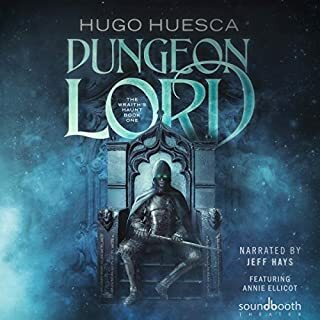 Best audio book series ever. Just so entertaining. Can’t wait to read the 7th and then reread all 7 again before the 8th comes out in the next few months. Top shelf. Gnomes rule!!!! OMG I LOVE THIS SERIES!!! I just can't get enough of the series. 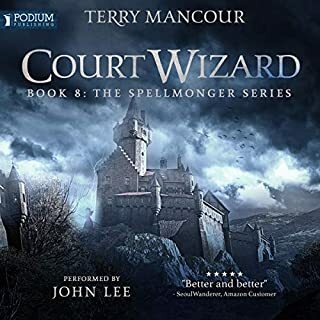 the writing is fantastic and so is the narrator keep up the good work guy. Top notch story and narration! 5 stars is not enough! 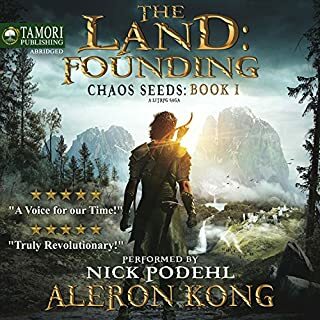 Nick podehl is by far the best narrator out there. He brings these books to life! It amazes me how he remembers and maintains the exact same voices for characters in this series, book after book. As for the story. 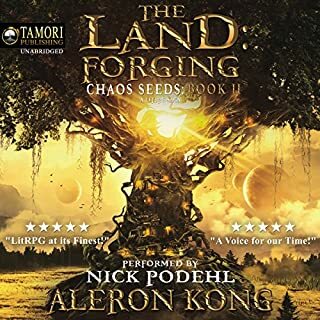 I can’t remember another series that has kept me as excited for the next book as the chaos seed storyline has. Aleron Kong is a master of weaving the story together and making it tense and funny and exciting all at once. By far one of my new favorite authors and stories. 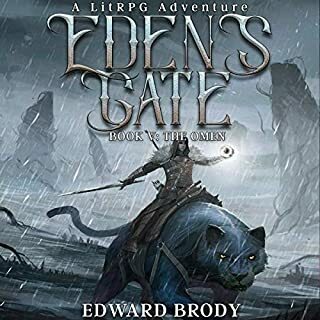 I highly recommend this book and the previous books in the series! 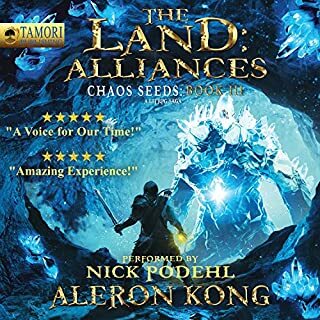 Its hard to put into words how much i enjoy this series.... if you've enjoyed Lit RPG in any way then i highly encourage you to grab book one and see just how awesome the Land is. Honestly their is so much going on at this point the story started to struggle with unfinished quests. This is where it was turned around. 1. Something I liked: This is where Richter became a real person to me at. He was cruel to his enemies and good to his pets. As a dog person I would so do this for my pups. 2. Something I disliked: some interactions felt forced. Like Yoshi is a master expert. I have no problem with his loyalty but the thing with the hand speak. That bothered me. Plus I feel like he should of been able to track the snake with all of his war buffs. 3. The title: Raiders honestly with this book I was expecting a full on attack instead I was pleasantly surprised and find the title fitting. 4. Favorite Character: With our a doubt Alma. I’m hoping at level 10 Psy-Bond she is no longer a servant but a true equal at that point. Overall I really enjoyed this book and I am glad I got to listen to it. The only reason the narrator who does a fantastic job reading is not a five is simply because it is only one person. 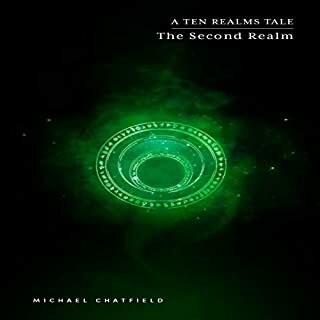 He does terrific work and the voices are all distinguishable. However if this had some more side effects for battles and such it would be five stars. The story is a four due to some of the interactions feeing forced and he needs to finish some of those big quests lol. 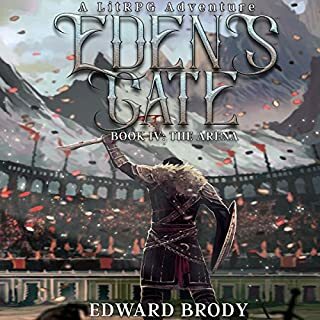 This honest and unbiased review was given in return for nothing other than I really enjoyed the book and want the Author to keep on writing. How about some side books? As with the rest of the series this book keeps you constantly on the edge of your seat wanting more. Aleron Kong is a mater and Nick Podehl is hands down the best narrator. Start the final book as soon as I’m done writing this! Just listen and become mesmerized in the world. Stop reading this comment and just buy it. You wont regret this series.